The Washington Post Peeps have gone the way of Oreo – with novelty flavors and colors that are very hit or miss. People eat Peeps, I guess? Along with gingerbread, they've achieved a legendary status: More craft supply than food product, “eating them” is pretty low on the list of things people do with Peeps. • Peeps Cotton Candy (available nationally) – The prettiest Peeps! They're light pink with blue flecks, like an eye-rolly gender-reveal cake. Cotton candy is an appropriate flavor for Peeps, because cotton candy is basically just the flavor of caramelized sugar. Peeps are also, in their essence, just sugar-flavored. So, here we have sugar-flavored sugar flavored like sugar. Cool. 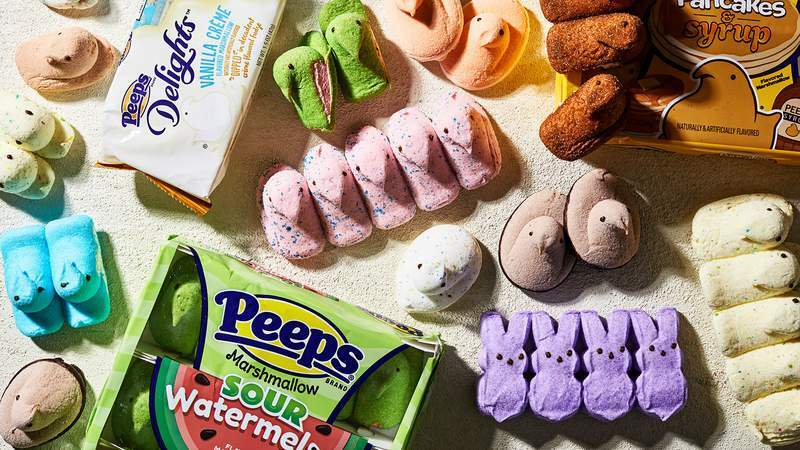 • Peeps Filled Delights Chocolate Caramel Swirl Flavored Marshmallow Chicks (only at Target) – I take it all back: Peeps are for eating - specifically, these. They have a chocolate base and gooey caramel center (do not think about the gooey center for too long, or you will realize the caramel is Peep guts spilling out of their tiny bodies). They're basically rocky road ice cream in Peep form, without the nuts. These are Peeps for grown-ups! They are too dignified for your Peep diorama.